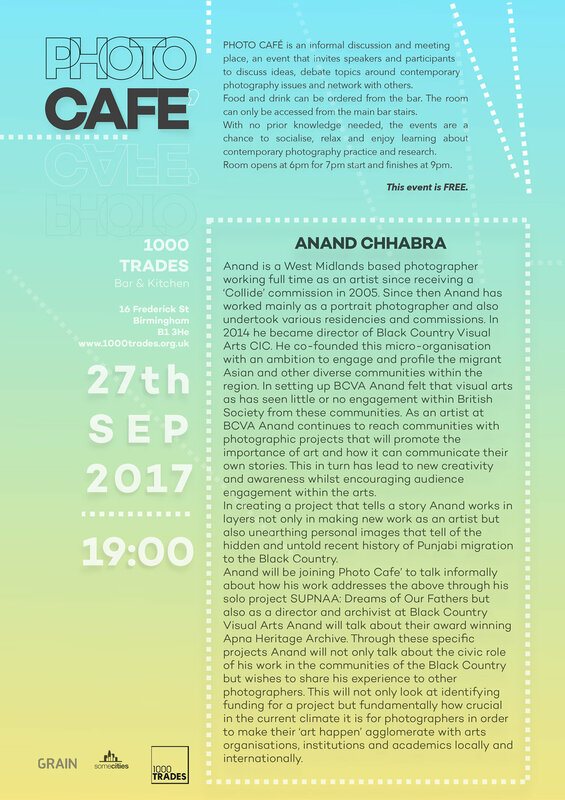 Good things continue to happen and Anand will be speaking about the photography collection 'Apna Heritage Archive' and particularly ways in which photographers as artists need to agglomerate with those in the locality to give their project the best chance of getting off the ground! Doors open at 6p.m. at 1000 trades pub in Jewellery Quarter.